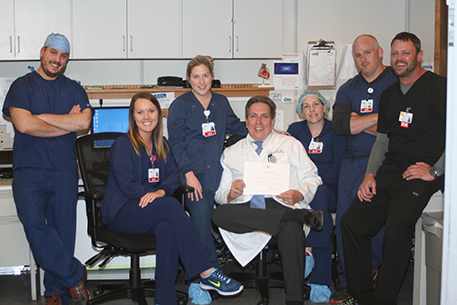 John F. Best, M.D., FACP, FACC, FSCAI, board certified cardiologist at Citizens Memorial Hospital, was recently named a “Missouri Hospital Hero” by the Missouri Hospital Association. The award is given to a Missouri hospital employee who has been recognized for their service to their patients, hospital and community. The CMH Heart Institute Clinic and Dr. Best are rated 4.6 out of 5 stars by their patients. To learn more, visit citizensmemorial.com.